Dame Agatha Christie published 66 detective novels and 14 short-story collections in her lifetime, but to the public she remained an enigmatic figure. 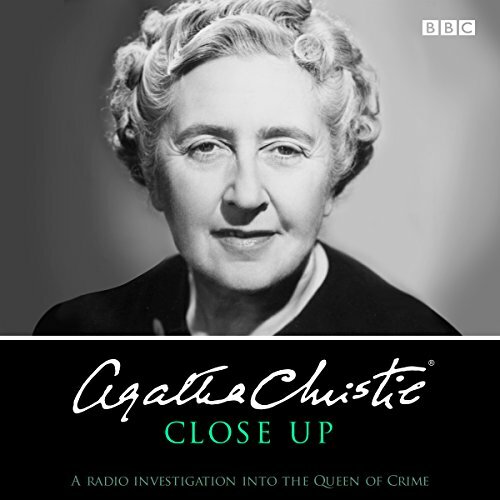 This quartet of BBC radio programmes looks at the woman behind the books and explores the career of one of Britain's most famous mystery writers. Agatha Christie Close Up (1955) tells the story of the celebrated author, with contributions from Richard Attenborough, Allen Lane, Margaret Lockwood and Peter Saunders, while in The Mysterious Dame Agatha (1975), Cliff Michelmore presents an 85th birthday tribute with Peter Saunders, Nigel Stock and Julian Symons. Women of Mystery: Queen of Crime (1982) sees Jessica Mann investigating women crime writers and Christie in particular, and in Agatha Christie: Speaking Her Own Words (2015), we hear specially selected excerpts from the initial dictated version of Christie's autobiography. Recorded in 1965, these unedited personal tapes were discovered by her grandson, Matthew Prichard, who introduces the programme. Featuring the voices of fellow writers, friends, family and the Queen of Crime herself, this wide-ranging collection sheds new light on the best-selling novelist of all time. Too many repetitions and overlap. Undated excerpts. Was there no editing? Disappointing after the wait. Loved the historical excerts and old fashioned accents though found quite repetative in places.